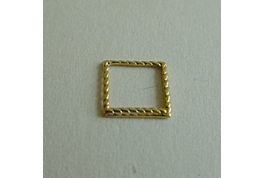 Gold Plated Frame Setting Suitable For Jewellery Making Or Dollhouse Projects. 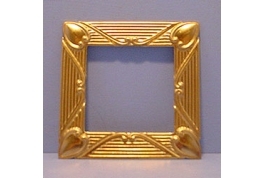 A Fine Gold Colour Decorative Square, Would Make A 24th Scale Picture Frame. 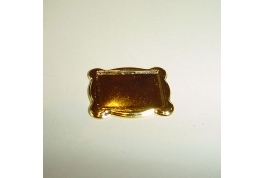 Can Also Be Used In The Construction Of Dollhouse Lighting.